Updated (Year 2017): Hello guys! We are so surprised at how popular this post still is-- after 3 years! But please do keep in mind that this was written in 2014. While we still think that an affordable wedding is within arm's reach, do take our advise from this article with a grain of salt as prices have already increased by now. And remember! Do not compromise on TASTE even if you are on a budget! Is a pretty wedding under P150,000 REALLY possible? We are here to tell you that YES, it definitely is. At the end of the day, it's all just a matter of perspective and if you are rebelliously bold enough to go against the usual expenses to prioritize what really matters the most. But don't take it literally though. There's a thin line between a cheap wedding and a cost-efficient one. And never, EVER sacrifice taste and style just because you want to limit your wedding budget. 1. Her ceremony and reception was at the same place. She had her wedding at the Adoration Chapel of St. James, Ayala Alabang (price: P5,000). Beside the chapel was a light & airy gazebo so she had her garden reception there. The cost? A donation to the church. 2. Instead of bouquets, Melo asked the entourage and even the female guests to be in fun, floral dresses! 3. Instead of a lunch or dinner reception, Melo had a mirienda reception for 60 guests. The guests enjoyed the menu which included: Southern Fried Chicken, Pork Sliders, Mac n Cheese, Panacotta Shots, and Rainbow Cake! PLUS, the wooden tables and mason jars added a rustic chic vibe to the mirienda! She got Pumpkin Catering and spent around P25,000 only! 2. Opt for a lacey white dress instead. Get it from Forever 21, H&M, Topshop, or in any of your favorite clothing brand for that matter. If you also have a way to order from the States, you can get a Monique Lhullier ML dress / Kate Spade Dress / Calvin Klein dress at Nordstrom's Rack at 60-80% off! Cost: Set a max. budget of P6,000. Use the same principle for your groom. Set a max. budget of P6,000 as well. To accessorize, borrow timeless jewelry from your mom or mother-in-law. That can be your "something borrowed." NOTE: At this rate, don't expect the usual wedding catering service that has VIP tables and couple's table, cocktails etc. etc. (those actually spike up the rates higher). Simply have a family style set-up and mingle with loved ones more intimately! 11. Since your chapel and your reception is at the same venue, there's no need to get a bridal car. 14. No need for the usual reception program. Opt for meaningful speeches and that's all you'll ever need. 15. Do your preps in your home. No need for a hotel! 17. Even if you are on a budget, don't forget to get your principal sponsors a wonderful gift! 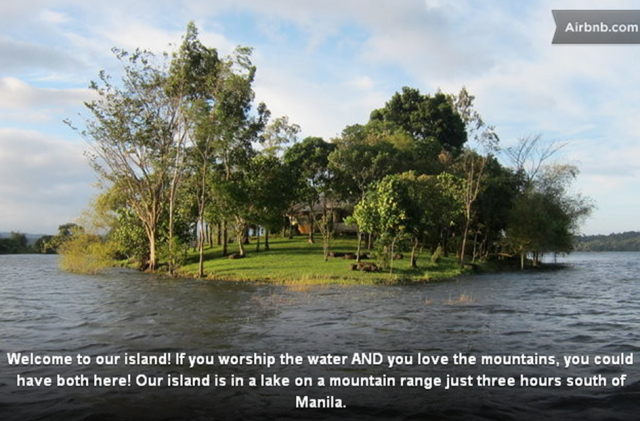 Set aside a budget of around P5,000 for this. 19. No need for lights and sounds. It's a peaceful, serene place and you might not be allowed to go loud anyway. 20. No need for a coordinator, no need for a registration, no need for seating assignments . Ask friends and loved ones to basically help with gathering the entourage before walking down the aisle. It's a small wedding anyway and it's at the same venue. Total so far: P118,000 -- You still have P32,000 to spend! What can you do with this money? Perhaps you can hire Woodstock Cinema (formerly Colors & Co.) as your videographer? We have a 20% deal with them as well! Or maybe after the wedding, you can treat your groom and yourself to a beautiful suite in a fancy hotel with spa treatments! Do you dream of a beach wedding but you think it's just going to be super expensive? Well, here's our affordable alternative to that dream! Why not rent a beach house instead? Everything is possible if you just keep an open mind! - Instead of hiring a makeup artist, take makeup lessons from The Makeup of Mica or Toni Rodriguez. Learn a new hairstyle from Pinterest or Youtube! Total cost so far: P150,000 If you have additional budget to spare, get an on-the-day coordinator since destination weddings are quite difficult to execute. A basic sound system might also be needed so you can do a little bit of sound trippin' to set the mood. The possibilities are actually quite endless. 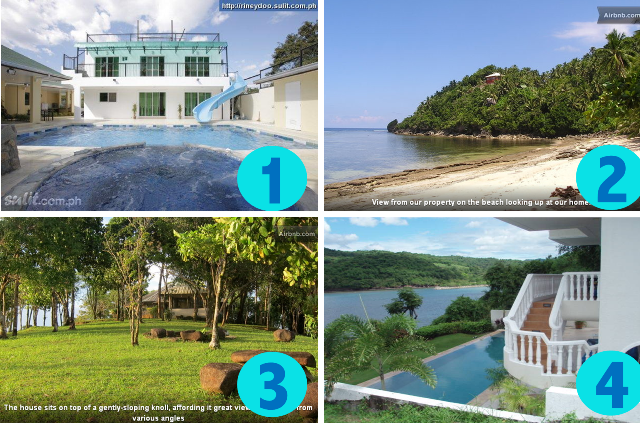 Apart from these suggestions you can also get beach house rentals in Palawan, Boracay, Cebu and other places. Even outside of the country, an affordable wedding is within reach. In fact, our Vegas Elvis wedding was also within the 150k range excluding airfares of course. The best part is, it's like hitting the wedding and the honeymoon with one stone. Remember! 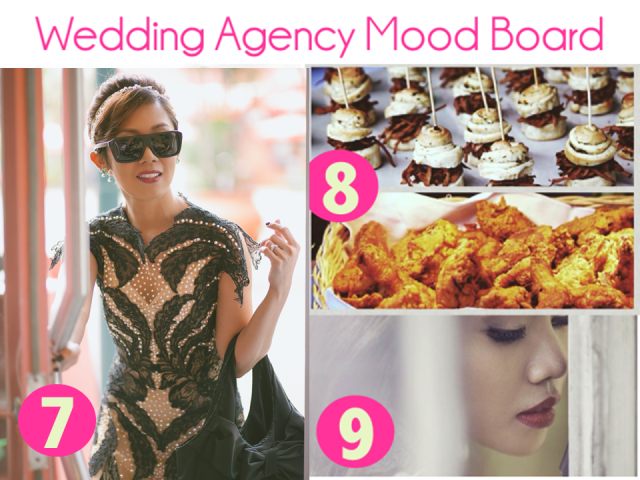 An affordable wedding is definitely possible but don't ever sacrifice on taste, style, and a little bit of ooomph. Know what to scrimp on but also add essential splurges. This is just a teaser of what we can do for you. Inquire about our Wedding Agency Services! And I'm toying on the idea of NOT having bridesmaids and groomsmen. Do you have feature on that? Been searching but all I could find are not from the Philippines. I want to have an idea of how to pull it off in Pinas.